POMDR Why Adopt a Senior Dog? 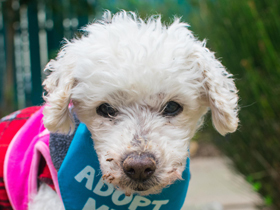 There are so many great reasons to adopt an older dog... Senior dogs have outgrown puppy behaviors like destructive chewing and are often already house-trained. Many have been loved dogs and just want their second chance at being part of a family. Others may have been neglected and you have the opportunity to make them feel truly loved for the first time in their life! A senior dog’s gratitude, love and loyalty is like no other. Your senior dog will thank you forever for seeing past their grey muzzle to the love they still have to give! 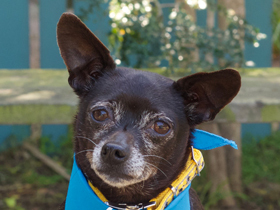 Senior pets are at a much higher risk of being euthanized at a shelter. By bringing a senior dog into your family, you are truly saving a life. The gratitude you will see in your dog’s eyes is priceless and you’ll always know that YOU were the person who gave them a second chance at happiness. Senior dogs have generally outgrown puppy behaviors like chewing and are all-around calmer dogs. So you can spare your shoes and furniture, and still welcome a wonderful new addition to the family! With a senior dog, you know exactly what you’re getting. Their size, breed and temperament are pretty much solidified so there are no surprises when the cute little puppy you adopt turns into a ninety-pounder! They Usually Have Basic Training! Senior dogs typically require less training. They are often already house-trained and know basic commands, taught by their previous guardians who have passed away or who can no longer care for them. 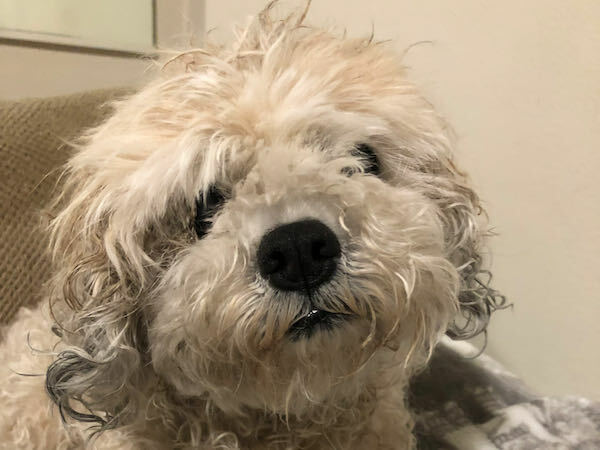 The vast majority of our senior dogs come to POMDR because their guardians have passed away, need to move into assisted living or simply because they can no longer care for their dog. 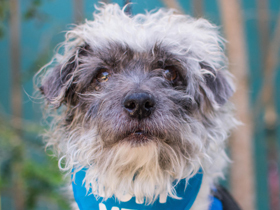 Contrary to common misconception, these dogs haven’t done anything wrong to end up homeless. 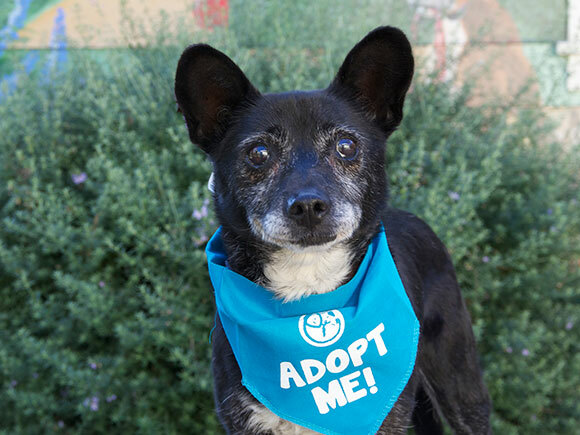 Most senior pups are house-trained, loved their previous families and were loyal companions for their years prior to ending up at the shelter. A common concern expressed is that an older dog won’t be in your life as long as a puppy would. While this may be true, their gratitude, love and loyalty is just as true. If anything, they’ll teach you to value every day you have the honor of spending with them that much more and they’ll thank you forever for seeing past their grey muzzles to the love they still have to give.